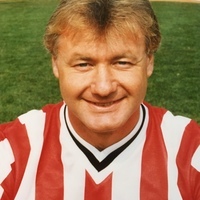 This player of many clubs had two spells with Exeter City, but started his career as an apprentice with Derby County, turning professional in August 1970. He made three league outings for County. 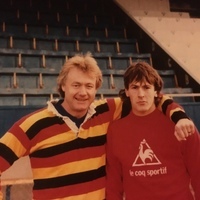 He also had loan spells with Luton Town in November 1973, Oxford United in September 1974 and Colchester United in January 1975, before moving to Notts County in December 1975 for a fee of £10,000. 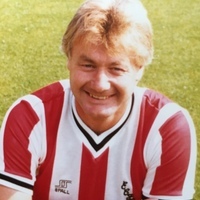 Sims was to score 13 goals in 61 league matches for the Meadow Lane club, prior to being transferred to Exeter City in December 1978 for a fee of £12,000. His debut was against Walsall on Boxing Day, scoring in the 3-1 win. His stay at St James’ park was to be a short one though, following his Exeter manager Bobby Saxton to Plymouth Argyle in October 1979 for £22,500. 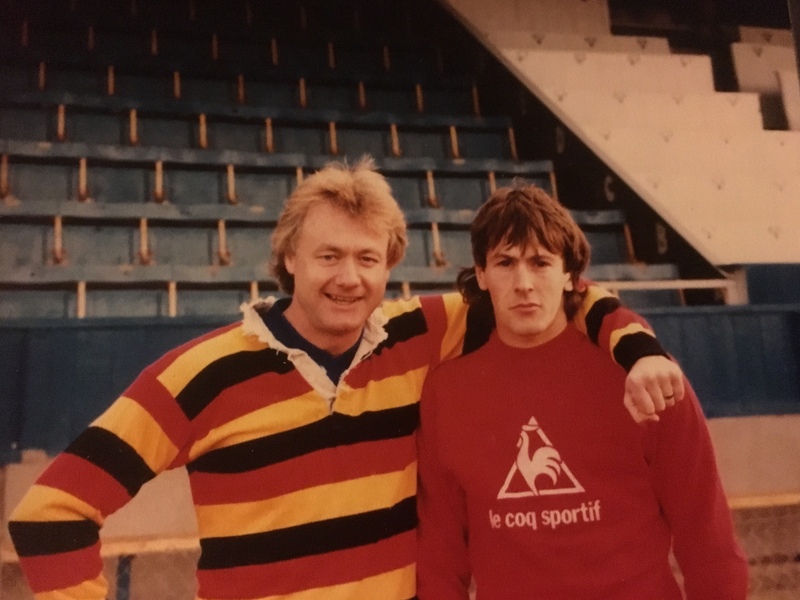 He quickly established himself at Home Park, making 183 appearances, scoring 48 goals and was voted Player of the Season in 1982 by the Plymouth fans. He left Plymouth in August 1983, joining the third Devon professional team, Torquay United. 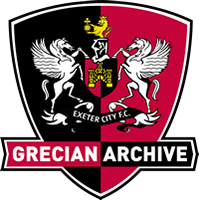 His initial stay at Torquay was a short one, rejoining Exeter City in February 1984. 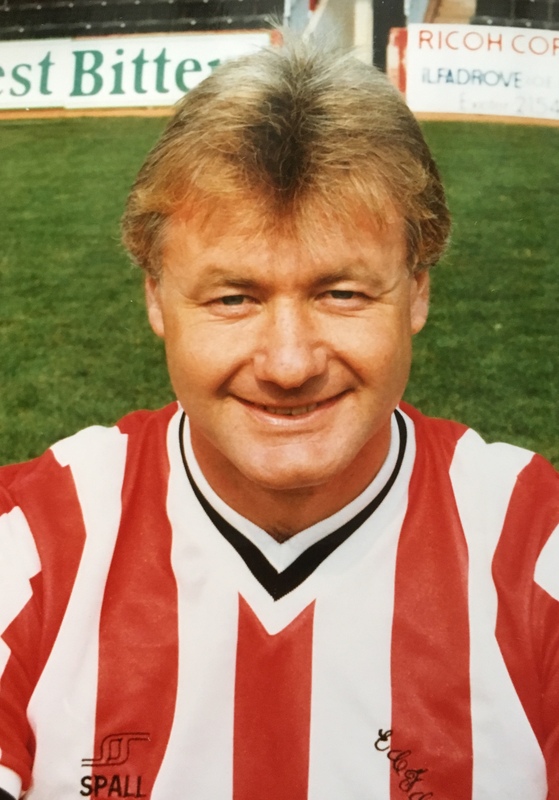 Despite starting the 1984-85 season in Exeter’s team, Sims was back at Torquay United for a second spell with them in November 1984, being appointed player-coach. 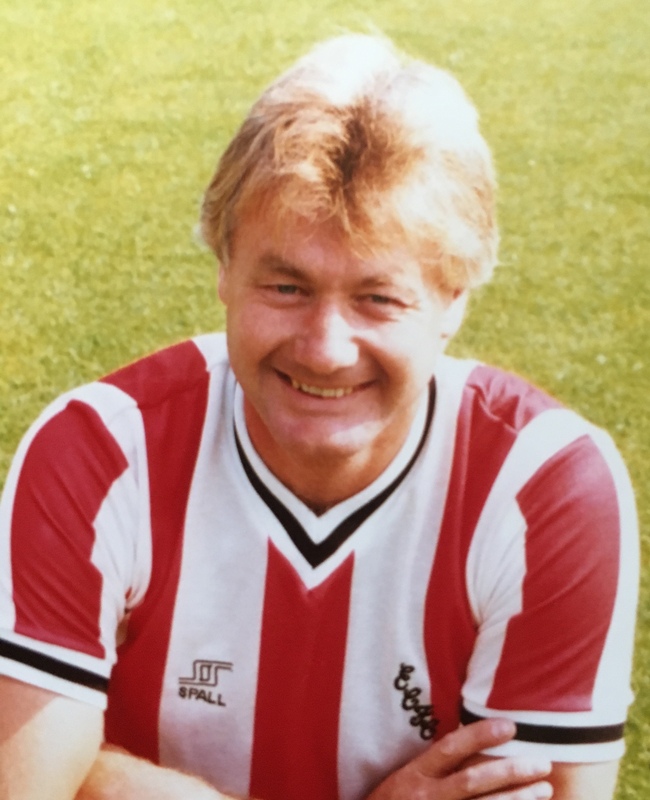 When Torquay manager David Webb left the club, Sims became manager in August 1985. However, his spell in charge at Plainmoor lasted just 33 days, with one win and one draw in eight matches. Later that year he joined Saltash United. He was later player-manager of local Torbay side, Waldon Athletic and ran a pub, The Post Horn, in Madrepore Road, Torquay.